WT Energy Services, Inc. specializes in primary and secondary containment, painting and coating. Their main focus is to deliver high performance protection for all containment needs. WT Energy provide peace of mind from the effects of weather, wear, and chemical environments. . These tanks were in extremely poor condition, with cracks and leaks, due to the deterioration of the concrete exposing the re-bar. One of these tanks was leaking so bad, that it was taken out of commission, which required the town to spend $4,000 per month to purchase water to meet their demand. As a quality control check to assure a monolithic lining, a spark test was performed on the structure and necessary repairs were made then. 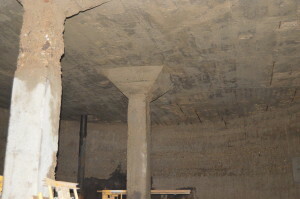 The applicator prepared the surface by grit blasting to remove Calcite build up and loose concrete The walls were then repaired using a cementitious material, to rebuild the extensive deterioration. Due to the extreme weather conditions during the project, the Raven 171FS was recommended as the best primer for the cold conditions to reduce out gassing. The 171FS is a 100% solids, fast curing concrete epoxy primer with little to no blushing. The final step was to apply an 80 to 100 mil top coat of the AquataFlex 510. 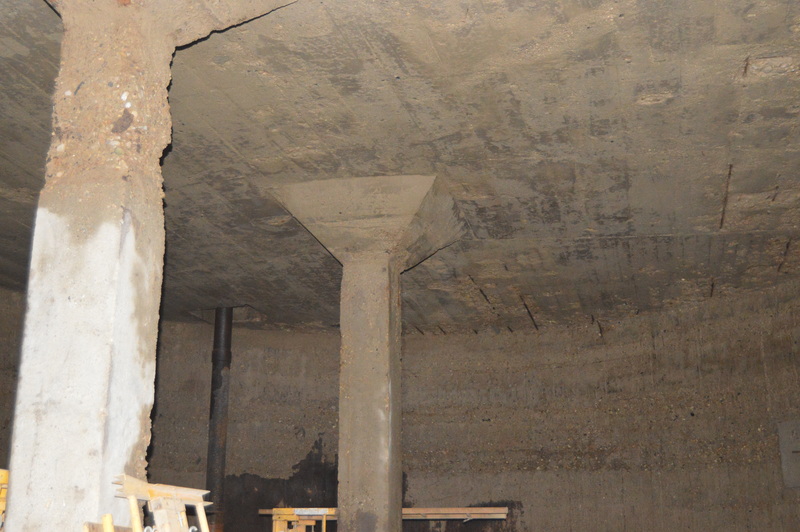 The inside walls were covered with a thick layer of Calcite (calcium carbonate) that had built up over the last 80 years due to the hard well water. This had to be removed along with any loose concrete, before the rehabilitation process could be started. Another challenge was the extreme cold winter weather during the project, with temperatures fluctuating between 20-50 degrees Fahrenheit. 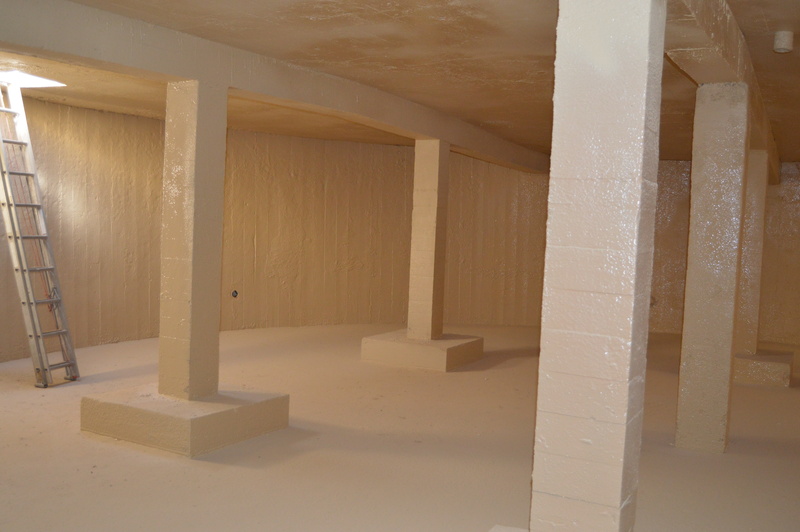 This required a coating system that was engineered to be both applied and cure in a cold environment. As a quality control check to assure a monolithic lining, WT Energy performed a spark test on the structure and made any necessary repairs. “Thanks to WT Energy and Raven Lining Systems, the city of Wilson was able to repair the tanks for $140,000, which was a $1.26 million savings for the city”, said town of Wilson Mayor, Frank Schaaf. On top of this capital savings, the town will be able to realize an additional $480,000 savings over the next ten (10) years by not having to purchase as much water from a neighboring town to meet the city of Wilson’s potable water demand.